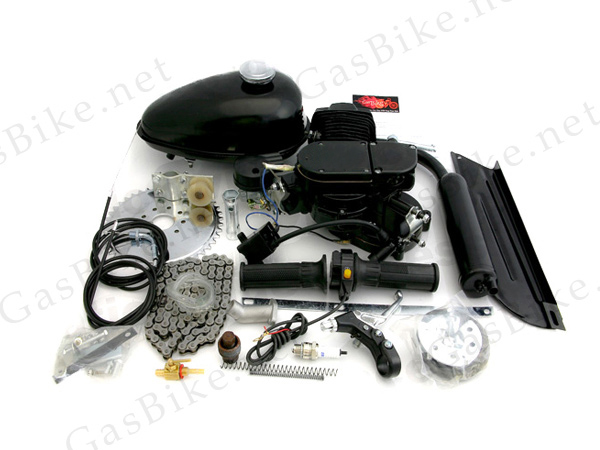 We have had so much demand for this solid black engine and our customers wanted an engine block matching their exhausts/mufflers yet with the same performance as our best selling Gas Bike Jet 66cc/80cc bicycle motor engine kit . Our shipment just arrived we wanted you to have this engine color option when placing your order, The Black Stallion 66cc/80cc. This engine is similar to the standard Black Stallion except for the angle fire slant head. This means the spark plug at the top is at a 45 degree angle, giving a higher compression and adds up to an extra 3 MPH. Through USPS we offer many shipping methods and for International and Canadian shipping we suggest USPS.